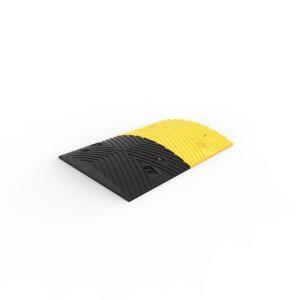 Manufactured from recycled rubber, 500mm long x 100mm wide x 15mm thick. 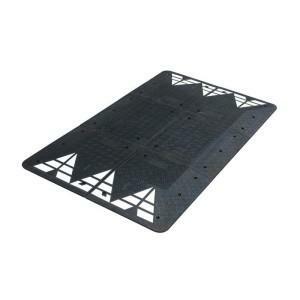 Can be installed with appropriate masonry fixings or glued using a suitable adhesive. On concrete and other hard surfaces the galvanised spikes will not be suitable. In this situation a rawl plug and screw or sleeve anchor type fixing 6.5 x 40mm is recommended (Not supplied). If nailing into bitumen is proving difficult it can be pilot drilled with an under size masonry drill. 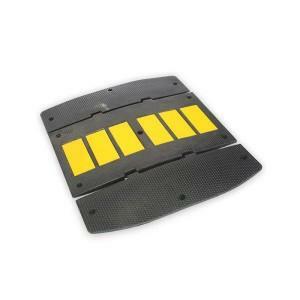 When installing Rumble Strips the addition of a silicone or 2 part epoxy adhesive will help prevent the ends of the strips from moving. 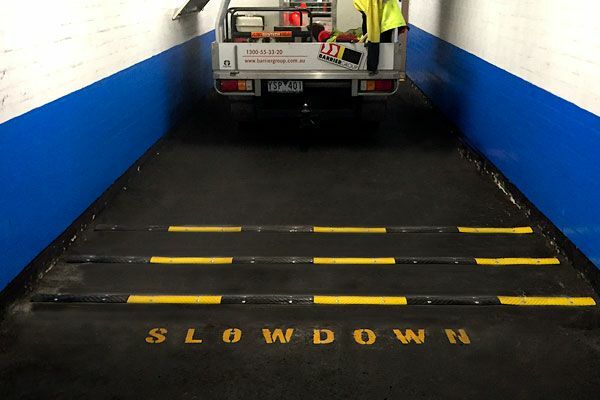 For setting out use a chalk line to achieve straight lines. Always ensure the surface is clear of dirt and dry if using an adhesive. 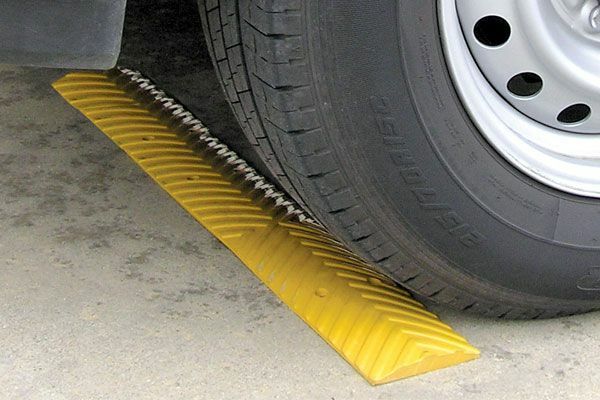 Avoid installing Rumble strips on bends where vehicle tyres are twisting on them. 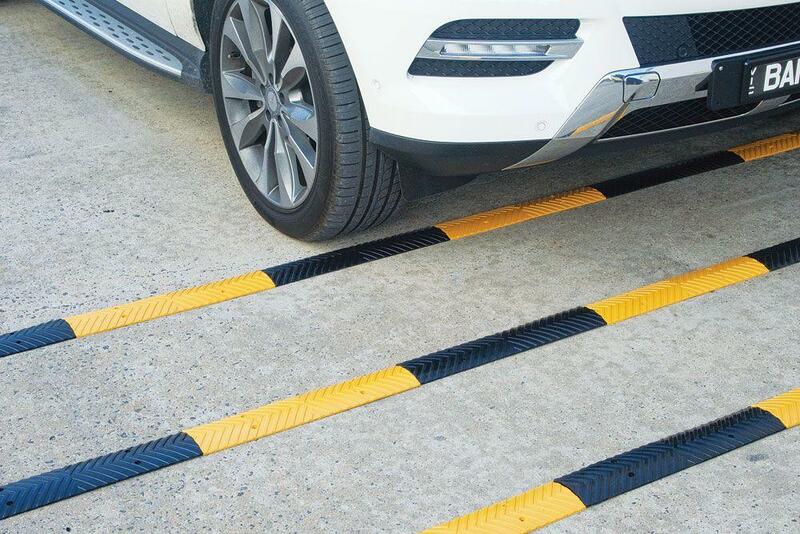 Description: Rubber rumble strip and lane divider. Installation: Can be installed with appropriate masonry fixings or glued using a suitable adhesive (not supplied).